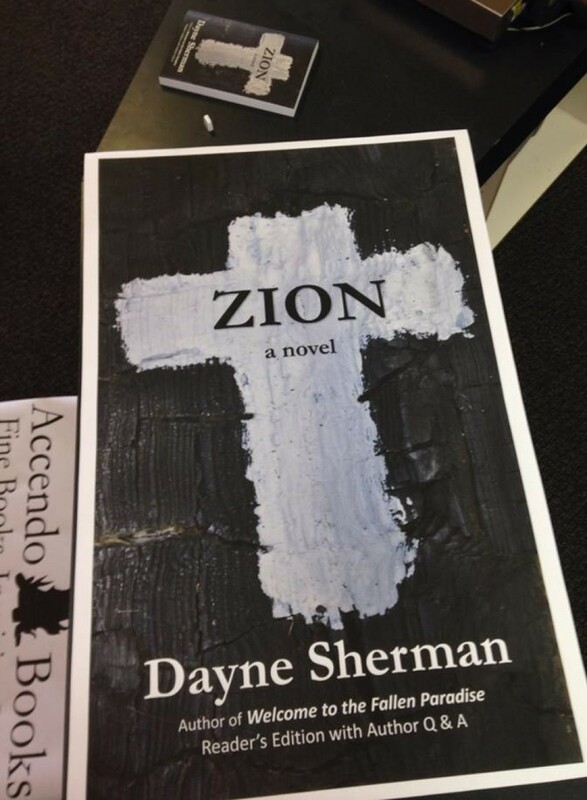 Short bio: Dayne Sherman is a writer. He covers the South like kudzu but never burned Atlanta. Long bio: Dayne Sherman is a high school dropout. He has worked a variety of jobs as a grocery store clerk, carpenter’s helper, door-to-door rat poison distributor, watermelon salesman, itinerant Baptist preacher, English as a second language teacher in Russia, paid gym rat, and most recently as a full professor at an unnamed university in Louisiana. At 18 years old, he took the GED and went to the college in his hometown. A member of Phi Kappa Phi, Sherman earned master’s degrees from LSU and Southeastern Louisiana University. His writing has appeared in many literary magazines, and one of his short stories was nominated for a Pushcart Prize. Sherman lives in Ponchatoula, where he lives with his wife and son. His website is daynesherman.com. 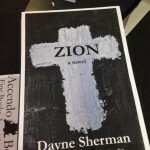 Zion is his second novel. He started Accendo Books in 2014, a small independent press.